Larry Holmes at Marx anniversary meeting. 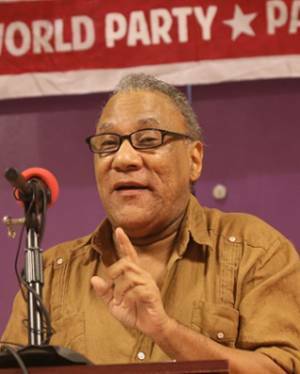 Part 2 of a talk by Larry Holmes, first secretary of Workers World Party, at the May 6 meeting titled “[email protected]: Class Struggle in the Age of Trump” in New York. We have to begin to overturn the narrow conceptions of how workers are organized. This is the main reason why several unions gave up on trying to organize fast food workers. The argument was: “You can’t organize McDonald’s. You’ll never get recognition. We’re throwing good money after bad.” All kinds of excuses. So they gave up. That’s very dangerous, because from a revolutionary Marxist perspective, if you don’t organize as many workers as you can, under whatever circumstances they’re toiling, then you make it easier for the system to pit workers against each other. There’s something we can learn from the teachers who are striking in Arizona and Colorado and other places. They’re also going out in North Carolina. This is revolutionary. I don’t know whether everybody gets this. These education workers — it’s not just teachers — are fighting in so-called right-to-work, anti-worker, anti-union states. They are not recognized by the government. Their strikes, according to bourgeois law, are illegal. Which means it’s a rebellion where tens of thousands of them are saying to hell with it. They could get fired. They could get fined. But still they’re walking out. It’s a message to every worker everywhere. Regardless of your circumstance, regardless of the laws in your state, you can organize if there are revolutionaries and activists and militants like ourselves who understand and who will help you any way that we can. And that’s the big challenge for us. We need what one might call “real internationalism.” There’s a big struggle going on in France. It’s very important. It’s basically the workers again rising up and fighting against what the bourgeoisie has been trying to do there for several generations — take back all the gains of the workers so it can be more competitive. The problem is, the other workers in Europe should be standing with them. And actually, it should be more than just a European struggle. It should be a worldwide struggle. Why? Because if the bourgeoisie is victorious there, then they’ll try it everywhere else, like they already have in Detroit and Puerto Rico. We need to give a new revolutionary scope to our struggle: That it’s really a global class struggle. I think what they just did here was give you a Marxist analysis of social media. It’s communications technology that has made it easier to organize across large distances. The bourgeoisie uses it for its purposes, and the working class uses it for its purposes. Now you can contemplate the unimaginable possibility of a global strike. It’s going to happen one day. Capitalism throws workers into violent competition with each other. And in a crisis, this competition is exacerbated; it gets worse. 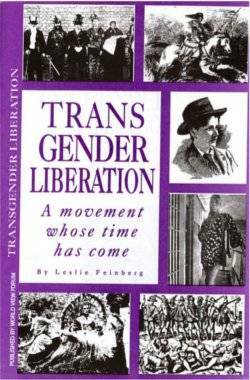 It’s only when the struggle reaches a certain momentum that it changes that problem, and solidarity becomes stronger. Then solidarity has a lot of gravity and the workers come together. This is where the danger of Trump comes in. We can say a lot about Trump. As bad and dangerous as Trump is, actually he’s a sign that the system is falling apart. He’s a sign of desperation. However, let us not forget what Trump is about, primarily. He’s about smashing the working class. He’s about dividing the workers from the most oppressed sections of the working class. If we understood what Marx was about, we probably would have tried to do more in solidarity with the immigrant workers who came to this country in a caravan recently, whom Trump has been attacking and attacking for weeks. He sent troops down there, and more cops, and more judges, and more of the state apparatus to repress them. I’m not saying that the reason why we need to zero in on solidarity with immigrant workers is because their plight is necessarily worse or greater than that of other workers in another part of the world, or that it’s a moral question. No, that’s not it at all. If we get what the ruling class is up to — if we really understand how they want to keep the working class chained — then we would know that it was time to find a way to solidarize ourselves with these migrant workers. Fortunately we’re going to have another opportunity to do that. As a matter of fact, many opportunities. I hope Workers World Party and all of our allies, communists and socialists or however you characterize yourselves, those who want revolution, those who want to help the working class and lift it up, and those who want to go beyond immediate demands and see something else at the end of the tunnel called socialist revolution — let us work harder. Let us use Marx’s 200th birthday to inspire us to do that.